New research from two surveys have shown overwhelmingly that today’s workers no longer expect to work a fixed five-day week and that employers who offer greater flexibility are becoming the employers of choice. It is now moving up the list of priorities that prospective and existing employees are seeking. Indeed, workplace provider Regus found that 85% of British working parents would forfeit other benefits to take up flexible working, with 81% surveyed believing the top benefit is a better work-life balance. Nearly all (96%) of working parents surveyed said they would work for an employer who provides flexible working as part of a benefits package. Three quarters (74%) would be willing to take on a different job if it offered a range of working locations. This mood has taken greater hold as the working environment has changed, with many employers offering a less formal office environment and technology enabling more individuals to work remotely. According to a survey by audit and tax consulting firm RSM, almost two thirds of middle market businesses in Scotland are considering new flexible working options for their employees but many worry about the security and management implications. The survey, carried out by YouGov for RSM, found that over the next five years, 61% of respondents are considering introducing flexible terms of employment, allowing workers to work outside 9 to 5 or increasing the use of remote working. Only 8% of firms in Scotland said that they are happy with the flexible working arrangements they currently offer and have no plans to increase them, while 3% said they were not looking to increase flexible working. Broadly, employers appear to recognise the benefits of greater flexibility, with businesses in the Scotland saying it had a positive effect on productivity (65%), time management (56%) and client service (53%). However, some Scottish businesses expressed reservations about introducing more flexible working arrangements. Respondents said IT security was the biggest risk (45%) followed by concerns around the impact on customer service (41%). Almost a third of respondents (30%) expressed fears about workers exploiting the system. Employees who have 26 weeks or more of continuous service can, once a year, make a written request to their employer to change to work flexibly. Such a request can cover any flexible working arrangement such as the number of hours worked, the periods when hours are worked or the place of work – or a combination of all three. 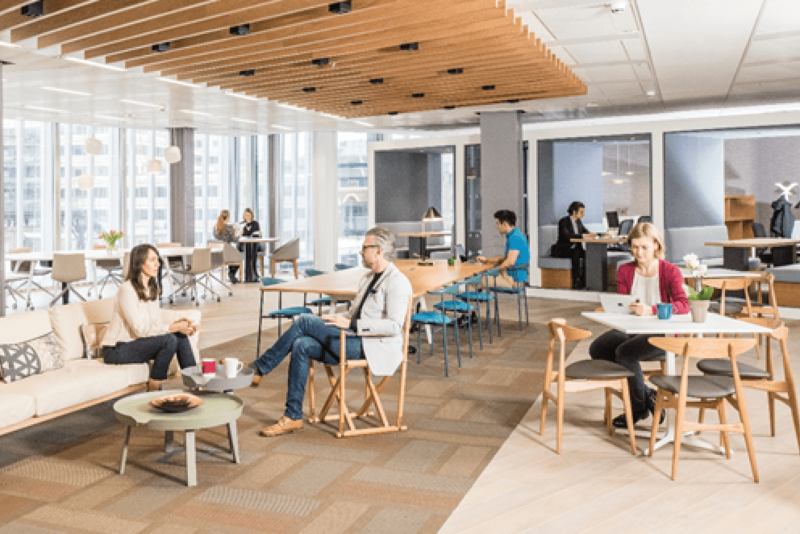 Commenting on the findings, Jude Lean, a senior HR consultant at RSM said: “Employers are becoming much more enlightened about the beneficial impact that flexible working arrangements can have on productivity, engagement and efficiency. “Some larger employers are leading the way by offering employees much greater control over their working times and working patterns, and it’s highly likely that others will follow suit. “However, the successful introduction of more flexible working options is not a given. Employers need to ensure they deal with flexible working requests in a prompt and reasonable manner, ensuring consistency in decisions. “This can be a particular challenge for larger organisations with a centralised HR function, but it is very important to mitigate any risk of a claim being brought for discrimination. “From a practical perspective, employers also need to ensure that managers are supported to manage team members that may work remotely or outside standard hours, in addition to providing support to the employees who are working flexibly. Why wouldn’t you expect the possibility of flexible working arrangements when with today’s technology it has become so easy. With smart devices and an internet connection basically anywhere, digital workspaces such as Cloud 1 Workspace and Workspace 365 and communication tools such as Slack, Yammer and Skype, you can efficiently work anywhere and at any time, granted that you work in an industry which allows you to do so. It’s great that an increasing amount of employers recognise that there are also many great benefits for them, not just for the employee.